Has Star Wars: Rogue One found its male lead? 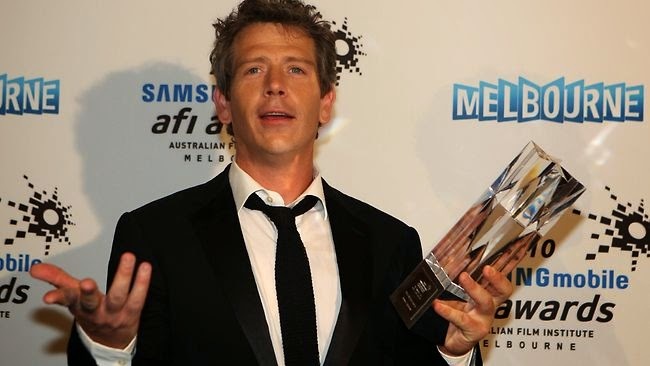 Deadline is reporting that Australian actor Ben Mendelsohn is in consideration to star opposite Felicity Jones in the 2016 Gareth Edwards directed film. Mendelsohn's resume includes Exodus: Gods And Kings, Killing Them Softly, The Dark Knight Rises, and the Netflix series Bloodline. Disney did not comment when contacted by Deadline. I can't say I'm familiar with Mendelsohn's work. He does seem to fit into idea of casting lesser known actors in Star Wars films and I can support that. We had previously heard that Breaking Bad star Aaron Paul and Wrath of the Titans star Edgar Ramirez were in consideration for the male lead role, but this is the first time Mendelsohn has been connected to Star Wars. As for when we can expect an announcement is unclear. Lucasfilm doesn't appear to be repeating what they did with The Force Awakens and announcing the whole cast at once. it will be interesting to see where casting announcements fall in the Disney/Paramount agreement that Disney will not promote Rogue One during the summer while Paramount is promoting Mission Impossible: Rogue Nation. If they do count as promotion for the film then Disney only has a short window to get all their ducks in a row (not only for Mendelsohn, but for the rest of the cast as well) if they want to announce the cast at Star Wars Celebration next month (the one exception in the Disney/Paramount arrangement). BOYCOTT THIS FILM!!! The writer blatantly disrespected George Lucas is the most terrible way! The fact that he is writing this film is just plain wrong! Stop this crap Nehemiah. Every Rogue One article I've seen lately has been you going around posting this. Who cares if the screenwriter didn't like what George did with the prequels (that's what this is really all about.) He doesn't have to grovel at George's feet. Get over yourself. You aren't doing yourself any favors.